David Johnson BuyBack - Graded Originals 48 Cardinals ?? David Johnson Buyback - Non-Graded Originals 118 Cardinals ?? Julio Jones BuyBack - Graded Originals 26 Falcons ?? Justin Hardy BuyBack - Graded Originals Multi-Player 80 Falcons ?? Matt Ryan BuyBack - Graded Originals 42 Falcons ?? Matt Ryan BuyBack - Graded Originals 68 Falcons ?? Matt Ryan Buyback - Non-Graded Originals 205 Falcons ?? Matt Ryan Buyback - Non-Graded Originals 206 Falcons ?? Matt Ryan Buyback - Non-Graded Originals 207 Falcons ?? Matt Ryan Buyback - Non-Graded Originals 208 Falcons ?? Michael Vick BuyBack - Graded Originals 60 Falcons ?? Michael Vick BuyBack - Graded Originals Multi-Player 70 Falcons ?? Ed Reed Buyback - Non-Graded Originals 128 Ravens ?? Ed Reed Buyback - Non-Graded Originals 129 Ravens ?? Ed Reed Buyback - Non-Graded Originals 130 Ravens ?? Ed Reed Buyback - Non-Graded Originals 131 Ravens ?? Ed Reed Buyback - Non-Graded Originals 132 Ravens ?? Ed Reed Buyback - Non-Graded Originals 133 Ravens ?? Ed Reed Buyback - Non-Graded Originals 134 Ravens ?? Ed Reed Buyback - Non-Graded Originals 135 Ravens ?? Mark Clayton BuyBack - Graded Originals 78 Ravens ?? Marshawn Lynch BuyBack - Graded Originals Multi-Player 64 Bills ?? Cam Newton BuyBack - Graded Originals 6 Panthers ?? Cam Newton BuyBack - Graded Originals 91 Panthers ?? Devin Funchess Buyback - Non-Graded Originals 122 Panthers ?? Steve Smith Sr. BuyBack - Graded Originals 97 Panthers ?? Brian Urlacher BuyBack - Graded Originals 83 Bears ?? Cedric Benson BuyBack - Graded Originals 78 Bears ?? Dan Hampton Buyback - Non-Graded Originals 113 Bears ?? Dan Hampton Buyback - Non-Graded Originals 114 Bears ?? Dan Hampton Buyback - Non-Graded Originals 115 Bears ?? Mitchell Trubisky BuyBack - Graded Originals 22 Bears ?? Mitchell Trubisky BuyBack - Graded Originals 53 Bears ?? Walter Payton BuyBack - Graded Originals 5 Bears ?? AJ McCarron BuyBack - Graded Originals Multi-Player 65 Bengals ?? Carson Palmer BuyBack - Graded Originals 67 Bengals ?? Carson Palmer BuyBack - Graded Originals Multi-Player 93 Bengals ?? Brandon Weeden BuyBack - Graded Originals Multi-Player 63 Browns ?? Jim Brown BuyBack - Graded Originals 3 Browns ?? Jim Brown Buyback - Non-Graded Originals 159 Browns ?? Jim Brown Buyback - Non-Graded Originals 160 Browns ?? Jim Brown Buyback - Non-Graded Originals 161 Browns ?? Jim Brown Buyback - Non-Graded Originals 162 Browns ?? Johnny Manziel BuyBack - Graded Originals Multi-Player 65 Browns ?? Vince Mayle BuyBack - Graded Originals Multi-Player 80 Browns ?? Dak Prescott Buyback - Non-Graded Originals 290 Cowboys ?? Dak Prescott Buyback - Non-Graded Originals 291 Cowboys ?? Dak Prescott Buyback - Non-Graded Originals 292 Cowboys ?? Dak Prescott Buyback - Non-Graded Originals 293 Cowboys ?? Dak Prescott Buyback - Non-Graded Originals 294 Cowboys ?? Dak Prescott Buyback - Non-Graded Originals 295 Cowboys ?? Dak Prescott Buyback - Non-Graded Originals 296 Cowboys ?? Dak Prescott Buyback - Non-Graded Originals 297 Cowboys ?? Dak Prescott Buyback - Non-Graded Originals 298 Cowboys ?? Daryl Johnston Auto - Super Bowl Signatures 1 Cowboys ?? Deion Sanders Buyback - Non-Graded Originals 279 Cowboys ?? Deion Sanders Buyback - Non-Graded Originals 280 Cowboys ?? Deion Sanders Buyback - Non-Graded Originals 281 Cowboys ?? Deion Sanders Buyback - Non-Graded Originals 282 Cowboys ?? Deion Sanders Buyback - Non-Graded Originals 283 Cowboys ?? Emmitt Smith BuyBack - Graded Originals 77 Cowboys ?? Ezekiel Elliott BuyBack - Graded Originals 54 Cowboys ?? Jason Witten BuyBack - Graded Originals 59 Cowboys ?? Jason Witten Buyback - Non-Graded Originals 299 Cowboys ?? Jason Witten Buyback - Non-Graded Originals 300 Cowboys ?? Jason Witten Buyback - Non-Graded Originals 301 Cowboys ?? Jason Witten Buyback - Non-Graded Originals 302 Cowboys ?? Jason Witten Buyback - Non-Graded Originals 303 Cowboys ?? Jason Witten Buyback - Non-Graded Originals 304 Cowboys ?? Jason Witten Buyback - Non-Graded Originals 305 Cowboys ?? Jason Witten Buyback - Non-Graded Originals 306 Cowboys ?? Jason Witten Buyback - Non-Graded Originals 307 Cowboys ?? Larry Allen Buyback - Non-Graded Originals 284 Cowboys ?? Larry Allen Buyback - Non-Graded Originals 285 Cowboys ?? Larry Allen Buyback - Non-Graded Originals 286 Cowboys ?? Larry Allen Buyback - Non-Graded Originals 287 Cowboys ?? Larry Allen Buyback - Non-Graded Originals 288 Cowboys ?? Tony Romo BuyBack - Graded Originals 38 Cowboys ?? Brock Osweiler BuyBack - Graded Originals Multi-Player 63 Broncos ?? John Elway BuyBack - Graded Originals Multi-Player 84 Broncos ?? Shannon Sharpe Buyback - Non-Graded Originals 223 Broncos ?? Shannon Sharpe Buyback - Non-Graded Originals 224 Broncos ?? Shannon Sharpe Buyback - Non-Graded Originals 225 Broncos ?? Ameer Abdullah BuyBack - Graded Originals Multi-Player 82 Lions ?? Calvin Johnson BuyBack - Graded Originals 29 Lions ?? Calvin Johnson BuyBack - Graded Originals 79 Lions ?? Charles Rogers BuyBack - Graded Originals Multi-Player 93 Lions ?? Matthew Stafford BuyBack - Graded Originals 28 Lions ?? Matthew Stafford BuyBack - Graded Originals 46 Lions ?? Aaron Rodgers BuyBack - Graded Originals 36 Packers ?? Aaron Rodgers BuyBack - Graded Originals 45 Packers ?? Aaron Rodgers BuyBack - Graded Originals 78 Packers ?? Bart Starr BuyBack - Graded Originals 2 Packers ?? Bart Starr BuyBack - Graded Originals 75 Packers ?? Brett Favre Buyback - Non-Graded Originals 289 Packers ?? Reggie White BuyBack - Graded Originals 40 Packers ?? Ty Montgomery BuyBack - Graded Originals Multi-Player 80 Packers ?? Andre Johnson BuyBack - Graded Originals Multi-Player 93 Texans ?? DeAndre Hopkins BuyBack - Graded Originals 89 Texans ?? Deshaun Watson BuyBack - Graded Originals 20 Texans ?? Deshaun Watson BuyBack - Graded Originals 24 Texans ?? Deshaun Watson BuyBack - Graded Originals 37 Texans ?? Deshaun Watson BuyBack - Graded Originals 56 Texans ?? Deshaun Watson Buyback - Non-Graded Originals 278 Texans ?? D'Onta Foreman Buyback - Non-Graded Originals 278 Texans ?? J.J. Watt BuyBack - Graded Originals 32 Texans ?? J.J. Watt BuyBack - Graded Originals 43 Texans ?? J.J. Watt Buyback - Non-Graded Originals 144 Texans ?? J.J. Watt Buyback - Non-Graded Originals 145 Texans ?? J.J. Watt Buyback - Non-Graded Originals 146 Texans ?? J.J. Watt Buyback - Non-Graded Originals 147 Texans ?? J.J. Watt Buyback - Non-Graded Originals 148 Texans ?? J.J. Watt Buyback - Non-Graded Originals 149 Texans ?? J.J. Watt Buyback - Non-Graded Originals 150 Texans ?? Tom Savage BuyBack - Graded Originals Multi-Player 65 Texans ?? Will Fuller V Buyback - Non-Graded Originals 261 Texans ?? Adam Vinatieri Buyback - Non-Graded Originals 102 Colts ?? Andrew Luck BuyBack - Graded Originals 27 Colts ?? Andrew Luck BuyBack - Graded Originals Multi-Player 63 Colts ?? Johnny Unitas BuyBack - Graded Originals 4 Colts ?? Johnny Unitas BuyBack - Graded Originals 13 Colts ?? Johnny Unitas BuyBack - Graded Originals 95 Colts ?? Blake Bortles BuyBack - Graded Originals Multi-Player 65 Jaguars ?? Byron Leftwich BuyBack - Graded Originals Multi-Player 93 Jaguars ?? Dede Westbrook BuyBack - Graded Originals Multi-Player 21 Jaguars ?? Leonard Fournette BuyBack - Graded Originals 19 Jaguars ?? Leonard Fournette BuyBack - Graded Originals 23 Jaguars ?? Leonard Fournette BuyBack - Graded Originals Multi-Player 21 Jaguars ?? Marqise Lee Buyback - Non-Graded Originals 276 Jaguars ?? Rashad Greene BuyBack - Graded Originals Multi-Player 80 Jaguars ?? T.J. Yeldon BuyBack - Graded Originals Multi-Player 82 Jaguars ?? Aaron Murray BuyBack - Graded Originals Multi-Player 65 Chiefs ?? Eric Berry BuyBack - Graded Originals 86 Chiefs ?? Eric Berry Buyback - Non-Graded Originals 136 Chiefs ?? Eric Berry Buyback - Non-Graded Originals 137 Chiefs ?? Eric Berry Buyback - Non-Graded Originals 138 Chiefs ?? Eric Berry Buyback - Non-Graded Originals 139 Chiefs ?? Eric Berry Buyback - Non-Graded Originals 140 Chiefs ?? Eric Berry Buyback - Non-Graded Originals 141 Chiefs ?? Eric Berry Buyback - Non-Graded Originals 142 Chiefs ?? Patrick Mahomes II BuyBack - Graded Originals 52 Chiefs ?? Patrick Mahomes II BuyBack - Graded Originals 57 Chiefs ?? Patrick Mahomes II Buyback - Non-Graded Originals 277 Chiefs ?? Dan Fouts BuyBack - Graded Originals Multi-Player 92 Chargers ?? Drew Brees BuyBack - Graded Originals 41 Chargers ?? Drew Brees BuyBack - Graded Originals 85 Chargers ?? Drew Brees BuyBack - Graded Originals Multi-Player 92 Chargers ?? Junior Seau BuyBack - Graded Originals 61 Chargers ?? Keenan Allen Buyback - Non-Graded Originals 185 Chargers ?? Keenan Allen Buyback - Non-Graded Originals 186 Chargers ?? Keenan Allen Buyback - Non-Graded Originals 188 Chargers ?? Keenan Allen Buyback - Non-Graded Originals 189 Chargers ?? Keenan Allen Buyback - Non-Graded Originals 190 Chargers ?? Keenan Allen Buyback - Non-Graded Originals 191 Chargers ?? Keenan Allen Buyback - Non-Graded Originals 192 Chargers ?? LaDainian Tomlinson BuyBack - Graded Originals 14 Chargers ?? LaDainian Tomlinson BuyBack - Graded Originals Multi-Player 70 Chargers ?? Melvin Gordon III BuyBack - Graded Originals Multi-Player 82 Chargers ?? Melvin Gordon III Buyback - Non-Graded Originals 209 Chargers ?? Melvin Gordon III Buyback - Non-Graded Originals 210 Chargers ?? Melvin Gordon III Buyback - Non-Graded Originals 308 Chargers ?? Melvin Gordon III Buyback - Non-Graded Originals 309 Chargers ?? Melvin Gordon III Buyback - Non-Graded Originals 310 Chargers ?? Melvin Gordon III Buyback - Non-Graded Originals 311 Chargers ?? Melvin Gordon III Buyback - Non-Graded Originals 312 Chargers ?? Melvin Gordon III Buyback - Non-Graded Originals 313 Chargers ?? Melvin Gordon III Buyback - Non-Graded Originals 314 Chargers ?? Melvin Gordon III Buyback - Non-Graded Originals 315 Chargers ?? Melvin Gordon III Buyback - Non-Graded Originals 316 Chargers ?? Philip Rivers BuyBack - Graded Originals 94 Chargers ?? Philip Rivers BuyBack - Graded Originals Multi-Player 69 Chargers ?? Eric Dickerson Buyback - Non-Graded Originals 143 Rams ?? Jared Goff BuyBack - Graded Originals 11 Rams ?? Jared Goff BuyBack - Graded Originals 33 Rams ?? Kurt Warner BuyBack - Graded Originals 66 Rams ?? Todd Gurley II BuyBack - Graded Originals 34 Rams ?? Todd Gurley II BuyBack - Graded Originals 35 Rams ?? Todd Gurley II BuyBack - Graded Originals Multi-Player 82 Rams ?? Todd Gurley II Buyback - Non-Graded Originals 249 Rams ?? Dan Marino BuyBack - Graded Originals 72 Dolphins ?? Dan Marino BuyBack - Graded Originals Multi-Player 84 Dolphins ?? Jay Ajayi Buyback - Non-Graded Originals 153 Dolphins ?? Jay Ajayi Buyback - Non-Graded Originals 154 Dolphins ?? Jay Ajayi Buyback - Non-Graded Originals 155 Dolphins ?? Jay Ajayi Buyback - Non-Graded Originals 156 Dolphins ?? Ryan Tannehill BuyBack - Graded Originals Multi-Player 63 Dolphins ?? Adam Thielen BuyBack - Graded Originals 55 Vikings ?? Adrian Peterson BuyBack - Graded Originals 50 Vikings ?? Adrian Peterson BuyBack - Graded Originals Multi-Player 64 Vikings ?? Dalvin Cook Buyback - Non-Graded Originals 110 Vikings ?? Dalvin Cook Buyback - Non-Graded Originals 111 Vikings ?? Dalvin Cook Buyback - Non-Graded Originals 112 Vikings ?? Latavius Murray Buyback - Non-Graded Originals 198 Vikings ?? Latavius Murray Buyback - Non-Graded Originals 199 Vikings ?? Latavius Murray Buyback - Non-Graded Originals 200 Vikings ?? Latavius Murray Buyback - Non-Graded Originals 201 Vikings ?? Latavius Murray Buyback - Non-Graded Originals 202 Vikings ?? 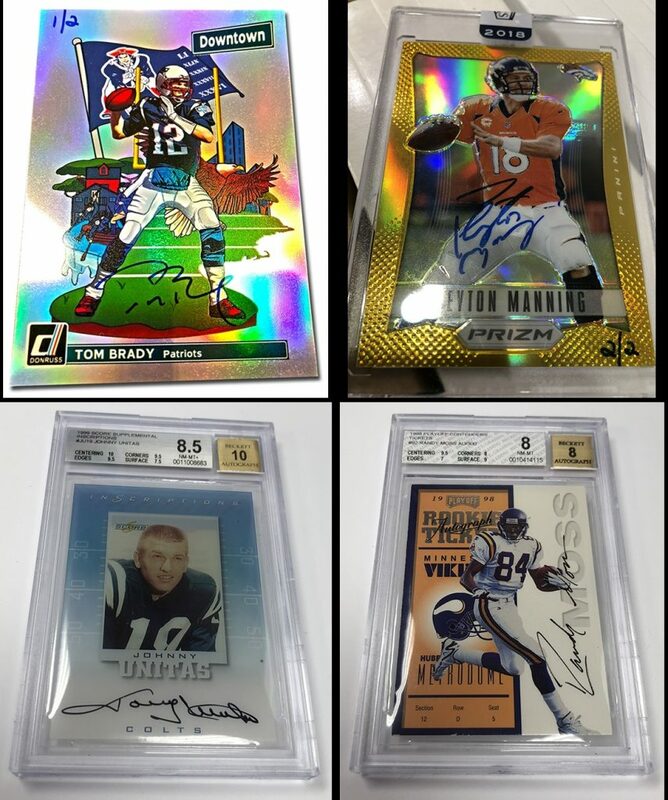 Randy Moss BuyBack - Graded Originals 1 Vikings ?? Randy Moss BuyBack - Graded Originals 76 Vikings ?? Stefon Diggs BuyBack - Graded Originals Multi-Player 80 Vikings ?? Teddy Bridgewater BuyBack - Graded Originals Multi-Player 65 Vikings ?? Bill Belichick BuyBack - Graded Originals Multi-Player 8 Patriots ?? James White Buyback - Non-Graded Originals 152 Patriots ?? Jimmy Garoppolo BuyBack - Graded Originals 44 Patriots ?? Jimmy Garoppolo BuyBack - Graded Originals Multi-Player 65 Patriots ?? Rob Gronkowski BuyBack - Graded Originals 15 Patriots ?? Rodney Harrison Buyback - Non-Graded Originals 218 Patriots ?? Tom Brady BuyBack - Graded Originals 7 Patriots ?? Tom Brady BuyBack - Graded Originals 12 Patriots ?? Alvin Kamara BuyBack - Graded Originals 18 Saints ?? Alvin Kamara BuyBack - Graded Originals 25 Saints ?? Michael Thomas BuyBack - Graded Originals 96 Saints ?? Michael Thomas Buyback - Non-Graded Originals 211 Saints ?? Eli Manning BuyBack - Graded Originals 81 Giants ?? Eli Manning BuyBack - Graded Originals Multi-Player 69 Giants ?? Odell Beckham Jr. BuyBack - Graded Originals 10 Giants ?? 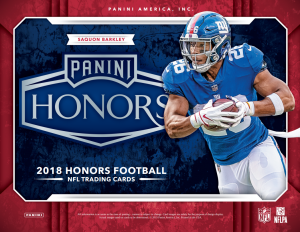 Sterling Shepard Buyback - Non-Graded Originals 244 Giants ?? Sterling Shepard Buyback - Non-Graded Originals 245 Giants ?? Sterling Shepard Buyback - Non-Graded Originals 246 Giants ?? Don Maynard BuyBack - Graded Originals Multi-Player 51 Jets ?? Joe Namath BuyBack - Graded Originals Multi-Player 51 Jets ?? Joe Namath Buyback - Non-Graded Originals 170 Jets ?? Joe Namath Buyback - Non-Graded Originals 171 Jets ?? Joe Namath Buyback - Non-Graded Originals 172 Jets ?? Amari Cooper BuyBack - Graded Originals Multi-Player 80 Raiders ?? Bo Jackson Buyback - Non-Graded Originals 109 Raiders ?? Derek Carr BuyBack - Graded Originals 74 Raiders ?? Derek Carr BuyBack - Graded Originals Multi-Player 65 Raiders ?? Jim Plunkett Buyback - Non-Graded Originals 163 Raiders ?? Jim Plunkett Buyback - Non-Graded Originals 164 Raiders ?? Jim Plunkett Buyback - Non-Graded Originals 165 Raiders ?? Jim Plunkett Buyback - Non-Graded Originals 166 Raiders ?? Jim Plunkett Buyback - Non-Graded Originals 167 Raiders ?? Jim Plunkett Buyback - Non-Graded Originals 168 Raiders ?? Brian Westbrook Auto - Super Bowl Signatures 2 Eagles ?? Carson Wentz BuyBack - Graded Originals 49 Eagles ?? Antonio Brown BuyBack - Graded Originals 47 Steelers ?? Antonio Brown BuyBack - Graded Originals 62 Steelers ?? Antonio Brown Buyback - Non-Graded Originals 108 Steelers ?? Ben Roethlisberger BuyBack - Graded Originals 9 Steelers ?? Bill Cowher BuyBack - Graded Originals Multi-Player 90 Steelers ?? Chuck Noll BuyBack - Graded Originals Multi-Player 90 Steelers ?? Hines Ward BuyBack - Graded Originals 58 Steelers ?? Le'Veon Bell BuyBack - Graded Originals 30 Steelers ?? Le'Veon Bell Buyback - Non-Graded Originals 203 Steelers ?? Troy Polamalu BuyBack - Graded Originals 39 Steelers ?? Alex Smith BuyBack - Graded Originals 73 49ers ?? Alex Smith BuyBack - Graded Originals 78 49ers ?? Bill Walsh BuyBack - Graded Originals Multi-Player 8 49ers ?? Jerry Rice BuyBack - Graded Originals 71 49ers ?? Russell Wilson BuyBack - Graded Originals 16 Seahawks ?? Russell Wilson BuyBack - Graded Originals 88 Seahawks ?? Russell Wilson BuyBack - Graded Originals Multi-Player 63 Seahawks ?? Tyler Lockett BuyBack - Graded Originals Multi-Player 80 Seahawks ?? Tyler Lockett Buyback - Non-Graded Originals 258 Seahawks ?? Tyler Lockett Buyback - Non-Graded Originals 259 Seahawks ?? Jameis Winston BuyBack - Graded Originals 31 Buccaneers ?? Jameis Winston Buyback - Non-Graded Originals 151 Buccaneers ?? O.J. Howard Buyback - Non-Graded Originals 214 Buccaneers ?? Derrick Henry Buyback - Non-Graded Originals 120 Titans ?? Derrick Henry Buyback - Non-Graded Originals 121 Titans ?? Marcus Mariota BuyBack - Graded Originals 17 Titans ?? Jamison Crowder BuyBack - Graded Originals Multi-Player 80 Redskins ?? John Riggins Buyback - Non-Graded Originals 173 Redskins ?? John Riggins Buyback - Non-Graded Originals 174 Redskins ?? Josh Doctson Buyback - Non-Graded Originals 179 Redskins ?? Kirk Cousins BuyBack - Graded Originals 87 Redskins ?? Robert Griffin III BuyBack - Graded Originals Multi-Player 63 Redskins ? ?